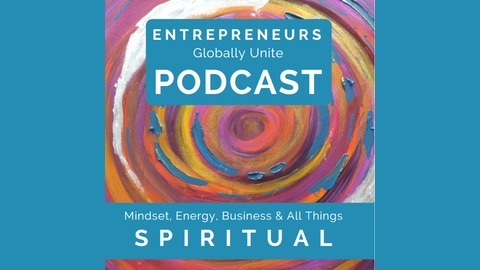 A collaborative community hub for Spiritual Entrepreneurs to thrive. 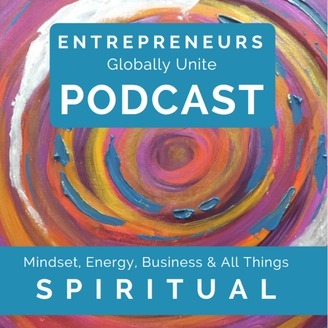 Entrepreneurs Globally Unite provides Mindset, Energy and all things spiritual. Broadcast with Permission “Awakening your Ancestral & Earth Knowledge with 432 Hz” with SOUNDSYNCTECH™ by Christina and Ted Winslow © 2017 Big Country Publishing. All Rights Reserved. Awakening your Ancestral & Earth Knowledge is an Energetic Transmission inviting True transformation that can be easy and effortless while relaxing to the healing 432 Hz frequencies from SOUNDSYNCTECH™ as you reprogram your subconscious mind opening up to new wonderful possibilities. Find a comfortable position, please reserve this time for relaxation, restoration and deep inward connection, close your eyes, take a deep breath and let go. In this journey you will become aware of your body and feel it connect and ground into the earth. You will be guided to imagine yourself finding a spot to relax, connecting to the earth, feel the cool ground below you, maybe your bare feet will cascading through the sand, as a cool breeze gently caressing your face, or the warm sun wrapping around you like a comforting blanket. You will enjoy this peaceful place that the Earth has provided you, feel the love and gratitude frequency welling up in your heart space for all the beauty and majesty of nature. This frequency not only has a feeling of love and gratitude, it has a colour of a glowing pink light. Today if you are ready, you may receive the gifts and knowledge you have once had when you were living in communion in nature. The door to your mind can open to unlock hidden memories and to receive new information from the Earth to expand your knowledge of all of her gifts. As you receive this information, it will assist you in your own life as well as a loving contribution to others and the Earth. As you continue to receive from the Earth, you may feel the love and gratitude frequency for your ancestors, giving thanks to those who have come before you. Today, you may ask your ancestors to assist you in receiving the talents, abilities, knowledge and gifts that will serve your highest good in this lifetime. In this transmission you may receive a gift from the Earth and be invited to ask her any questions you may have. Your Ancestors are invited to open up the flow of hidden knowledge to support humanity and the Earth with our rightful inheritance of healing and knowledge and as this door is opened up for you and your ancestors, the energetic frequencies of love and gratitude will assist other families contributing to their healing as well. You will be extended and invited to receive your gift of knowledge and as you continue to receive these gifts, you will have the opportunity to thank them for their love, assistance and knowledge. This transmission may update your body with this healing frequency and assisting you in receiving knowledge, talent, abilities and gifts from the Earth and your Ancestors. Upon completion, you will have updated your records with this beautiful connection and restoration. I hope you have enjoyed: “Awakening your Ancestral & Earth Knowledge with 432 Hz” with SOUNDSYNCTECH™ from Wellpoint Hypnosis Method™. This guided meditation is a sample of your Wellpoint Hypnosis Method™ Sessions and Workshops. To Pratitioners Website Receive more relaxing brainwave frequencies, please visit: www.wellpointhypnosismethod.com where you may download free SOUNDYSNCTECH™ music. Subscribe below to be sure you don't miss an episode of the #EGUPodcast as we strive to help you Thrive!